This page explains how to use the Sony PSP (Playstation Portable) with Ubuntu. Generally all you need to do to use your PSP is to plug the cable into a USB port. The PSP should be automatically recognized as a usb drive and appear on your GNOME desktop or in your KDE Device Notifier widget. This is an important thing to do. When you have finished using your PSP, you must right click on it's icon and select eject before unplugging it. This ensures that any files being written to the PSP are permanently saved and informs any programs that may be using files on the device. If your PSP is not automatically recognized see the Troubleshooting section at Mount/USB. This could be due to the "usb power" set to "on" over a usb port or wire that does not support usb powering. 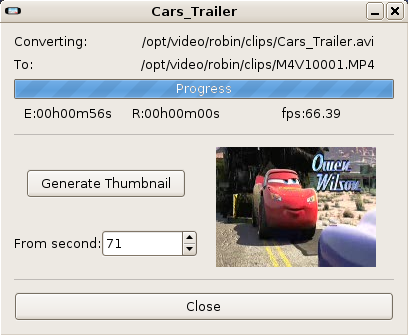 PSPVC (Playstation Portable Video Convertor) is a FFMPEG front-end to convert video files for the PSP. Users wishing to compile DVDs from VOBs may have to recompile with certain options. 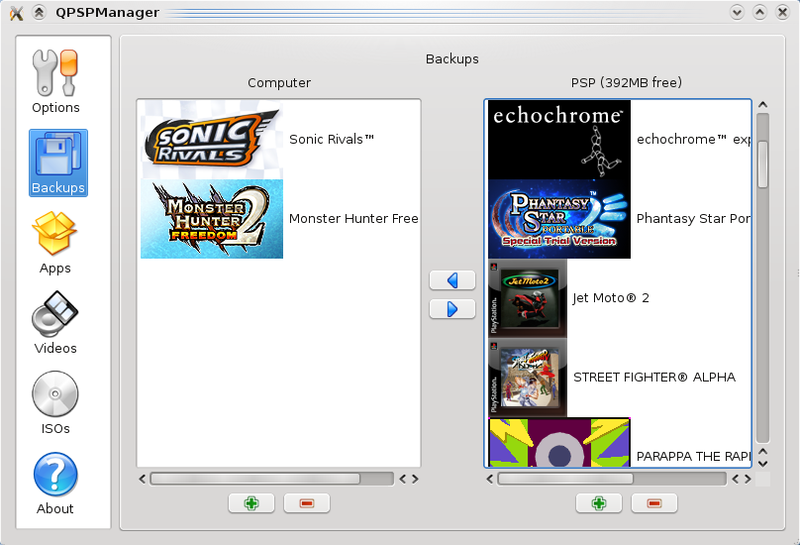 QPSPManager is a PSP manager for Linux, Mac OS X and Windows. It has a variety of features, including application management, a savegame backup system, a PSX ISO converter, a PSP ISO compressor and a video encoder. Note than some of the features provided by QPSPManager are only supported for specific firmware versions. Unfortunetly the last step doesn't work for everyone (make install). Instead a QPSPManager executable file is made in the bin directory. You can then copy this to /usr/local/bin yourself. As of 9.04 make produces errors. Then run qmake. after qmake finishes open the make file and change.